Several Idaho communities dot the landscape around Coeur d'Alene and each deserves it's own recognition. 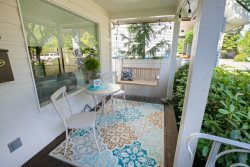 If you are looking for an Idaho vacation rental, this is a great place to start, and when you are done shopping, you will find our pricing and amenities top your list. The Homes listed on our Community pages are all located within an easy drive of the local attractions featured on the page. Twin Lakes vacation rentals are located on the shores of Twin Lakes in the north Idaho mountains.